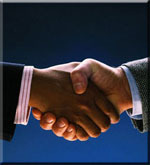 Two Easy Steps and Miami Web Design Firm, Websavers.Com, makes it fast and affordable to have a professional website. MIAMI - FL Miami web design firm, Websavers.Com, specializes in Web Design, Hosting and SEO Marketing. We utilize our creativity, proven strategies and techniques to create engaging, cost effective web sites and marketing solutions. Our target market is the small business with limited capital. We believe that this is an underserved market that deserves high quality and affordable solutions says Brett Koven, lead designer. We are a boutique firm located in South Florida, Miami to be precise. Our clients however are located locally, nationally and internationally. The Internet truly opens many new opportunities. We hope that you will allow us to open new doors of opportunities for you. Copyright © 2005 - 2019 Miami Web Designer - Search Engine Optimization - Remote Computer Backup - Employee Computer Monitoring .